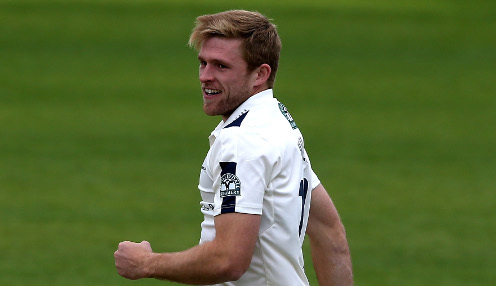 Yorkshire captain Steven Patterson says England star David Willey is an unbelievable asset to have as the Vikings pursue a second visit to T20 Blast finals day in two years. Defeat in the Roses clash at Headingley on Thursday - in which Willey smashed 80 off just 53 balls - left the 2016 semi-finalists needing to win two of their remaining three northern group fixtures by Patterson's estimations to progress to the last eight. Two of those matches are against reigning champions Nottinghamshire, while the other is against Willey's former employers and the 2016 winners Northamptonshire. Of Willey, who also took a stunning diving catch in the six-wicket defeat to Lancashire, Patterson said: "He's just a quality player, isn't he? That's why he went to the Indian Premier League. He can change the game in all three disciplines, really. Bat, ball and in the field. "He got us into an unbelievable position after just 10 overs. He's an unbelievable asset to have." And of the qualification stakes, after Yorkshire collected 12 points from the first 11 games, he added: "I thought coming into the game that two from four would leave us in a strong place to qualify. That doesn't change. It's just two from here now. "You are not going to win every game in this comp, you just have to move on and look to be better next time. We know what we need to do, to control our own destiny, and I don't want to be relying on other results." Yorkshire are now priced at 1212/1 to win the T20 Blast this summer, with Durham 1212/1 and Gloucestershire 1212/1.